Alison Whyte is one of Australia’s most accomplished and celebrated actors, with an outstanding reputation in theatre, television and film. Her television credits include: The Kettering Incident, Glitch, The Doctor Blake Mysteries, Miss Fisher’s Murder Mysteries, Tangle, Satisfaction, City Homicide, Marshall Law, Sea Change, Good Guys Bad Guys, G.P. and the critically acclaimed Frontline, amongst many others. Amongst her numerous films credits are The Dressmaker, Centreplace, The Jammed, Subterano and Saturday Night. Alisons theatre work includes Love and Information and Australia Day for both the Sydney Theatre Company and Melbourne Theatre Company. Also for the Melbourne Theatre Company in Summer of the Seventeenth Doll, Clybourne Park and All About My Mother, Travelling North for the Sydney Theatre Company and Rising Water for Black Swan Theatre Company. 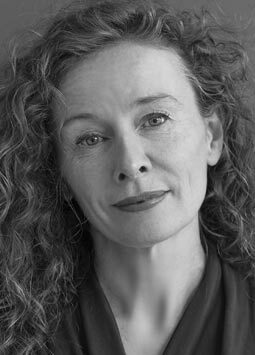 For the Malthouse Theatre, Alison performed in the production of The Bloody Chamber, Tartuffe and Eldorado, as well as Optimism which toured the Sydney Festival and the Edinburgh Festival. Alison is the recipient of numerous awards: 2009 ASTRA Award for Satisfaction, 2008 TV Week Logie for Satisfaction, 2005 Green Room Award for Dinner, 1997 TV Week Silver Logie Award for Most Outstanding Actress, as well as many nominations. Alison won both a Green Room Award and a Helpmann Award in 2010 for her outstanding portrayal of ‘Elizabeth’ in Melbourne Theatre Company’s production of Richard lll. Alison won the 2013 Green Room Award for The Bloody Chamber.